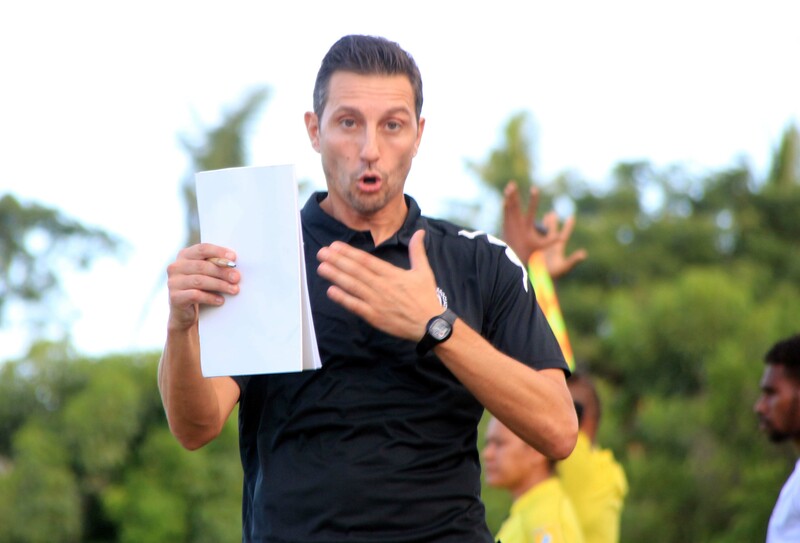 The Vodafone National Football head coach Christophe Gamel knows it is a big challenge when they take on Solomon Islands in the International Friendly match tomorrow. With Solomons already having a 4-1 win over Macau in their first international friendly of this tour last week, Gamel knows a lot is expected of them come the match day. ““I’m worried because we had a very short time to prepare as a lot of players also came over weight to the camp knowing that it is a key performance factor. “Solomons have been in camp for the past four weeks and already having played one international match has been a morale booster for them,” he said. However, he said the Bula Boys have been doing well and giving their best during the training sessions. London-based Semi Scott Wara and Wellington Phoenix striker Roy Krishna joined the team last night. “I got Roy and Wara at the last moment and I will have only one session to fix them with this team. Lautoka-based striker Benjamin Totori would be a sure starter for the opponents and Gamel knows how capable he is when given possession. “We will have to face him. He is a super striker who can eliminate any one in a small space.